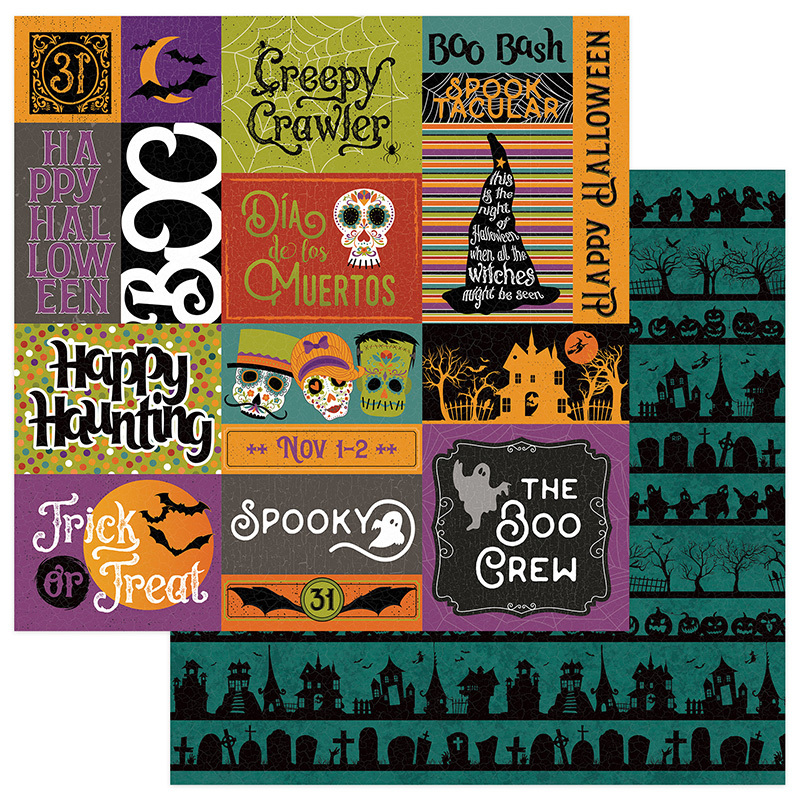 This 12x12 double sided paper has an assortment of images that can be used to accent and/or label any of your Little Spooks. The reverse side has rows of Halloween Images. Look for other coordinating Designer Papers and Ephemera Die-Cuts. part of the Matilda & Godfrey Collection by PhotoPlay Paper.